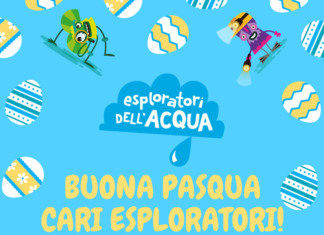 IL PODCAST SUI CONSIGLI SALVA ACQUA DEI WATERPROOF! I WATERPROOF DELL’I.C. CALDERINO (BO) E IL MODELLINO DI ZONA UMIDA! I CIACCIOTTI E L’ACQUA PREZIOSA: IMPARIAMO DAI NONNI! MINISSAS: LE SQUADRE GOCCIOLE BLU E 19 LEGGENDE METTONO ALLA PROVA I LORO GENITORI!